The Conservative Deputy Speaker says he's been told it was "more partisan" than usual. The Deputy Speaker of the House of Commons is defending spending thousands of tax dollars sending what he describes as “partisan” mail promoting the “Conservative plan” to 60,000 homes in his riding. 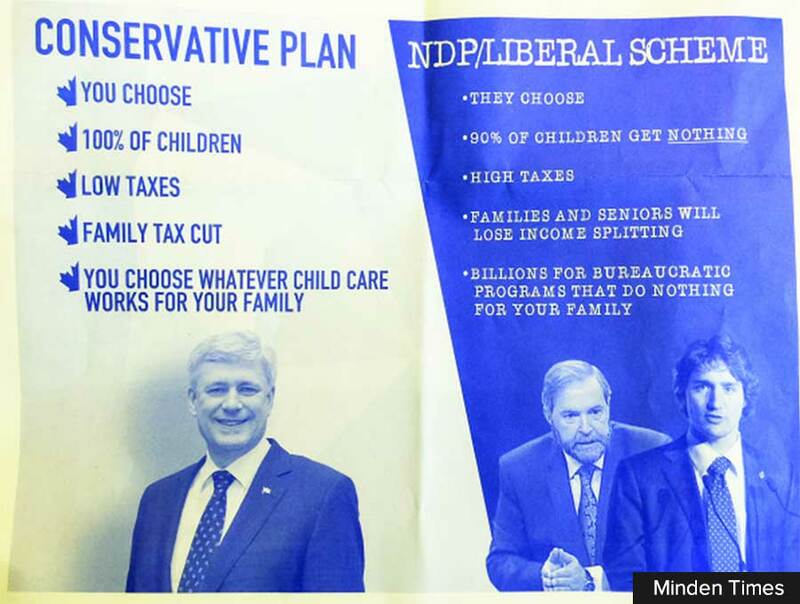 Barry Devolin, Conservative MP for Haliburton-Kawartha Lakes-Brock, told the Minden Times his office spent approximately $15,000 in public funds mailing leaflets produced centrally by Conservative caucus staff for MPs to use. That’s ironic — because the secretive Board of Internal Economy ruled large volume mailings “prepared by and for the benefit” of a “political party” were against the rules, as Speaker of the House and BOIE Chair Andrew Scheer put it last year. “I was really mad when I read it,” Minden Hills resident Elizabeth Turner told the Times Thursday. There are rules governing the House of Commons’ taxpayer-funded mailing program available to MPs, and the line between partisan and information content has been under scrutiny many times. But it’s pretty straightforward for Turner. Not sure which low taxes the flyer is referring to? Could he mean all the cash being hoarded by corporate Canada — totally over $500 billion instead of investing and creating jobs? Does he mean tax loopholes that allow CEOs and executives avoid nearly a billion dollars in taxes? What about the 199$ billion in corporate cash now resting in tax havens? Under the Conservative plan, parents get to choose which prohibitively expensive childcare they want for their kids – presuming they’re actually able to find a space. The Universal Childcare Benefit (“100% of children!”) offers parents a baby bonus of $100 or $160 per child every month. The trouble is the actual cost of childcare ranges from $800 to $1,200 per month in most places across Canada. And the UCCB doesn’t actually create any new spaces, even though four out of five Canadian kids under six don’t have access to regulated childcare. 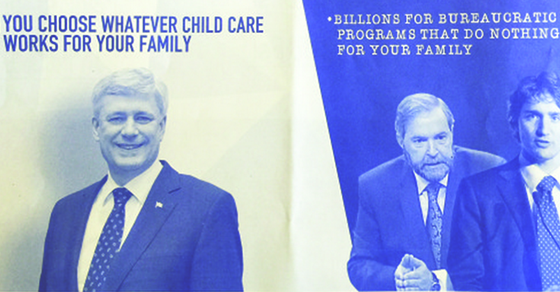 What’s a “family tax cut?” Do they mean income splitting? Nine out of 10 households won’t see a cent, and only a minority of families with kids under 18 will get any benefit, with most o the cash going to the wealthiest families. The scheme is estimated to cost the federal treasury $2 billion every year. Head of business lobby group said WHAAT?!? 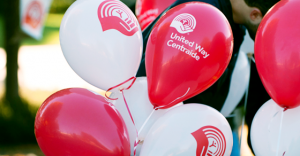 Someone with the courage to stand up to the United Way and their “mass unemployment” agenda! Wait, the United Way!? Mass unemployment!? What the dickens is going on here? ?